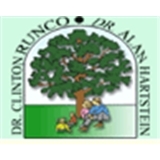 Clinton Runco (Pittsburgh) - Book Appointment Online! Our practice stays abreast of highly developed technology in dentistry. Our goal is to present you with dental care that can improve the quality of your life. We are delighted to offer you an entire range of Pittsburgh dental care services at our Pittsburgh location. Our objective has always been to make sure your smile is attractive and healthy. As always, we provide the newest information to you on techniques to enhance your smile. We specialize in Dental Implants, Teeth Whitening, and Root Canals along with other dental services in Pittsburgh, Pennsylvania.